It is not just you who seems to have an ever expanding collection of unused fabric. At least once (3 - 4) times a week I will head on down to my local to pick up some supplies and walk out with my arms full of new cool fabrics… which I never get around to using. My kids always hint at fabric donations but it has never been something I thought existed. I have now accepted the fact that I need to get rid of some of my fabric. This fabric would be better off with someone who might use it or even better, someone who needs it. I have been looking into what to do with old fabric because I know there has to be a better way than just throwing it out in the trash. I am happy to learn that fabric donations are widley accepted around the place. Its just a matter of tracking down the right organisation for you! Fabric Donations - Where to Start? What Kind of Fabric Do You Have? Before you get in touch with your selected charity make sure you go through your fabric and see what you have. They will ask what you have. Some organisations won't take certain fabrics. This could be for a wide range of reasons, but it is always best to double check first. It's also always best to seperate your fabric into like piles. No one wants to get several bags of mixed fabric dumped on them. This also makes it much easier if one organisation only wants certain fabrics. Try and group your fabric based on colour and fabric type. Your chosen organisation will appreciate that a lot! (This also gives you one last chance to check out your fabric to make sure you want to part with it). 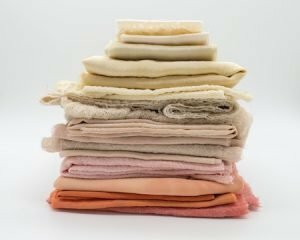 How Much Fabric Do You Have? Before calling make sure you have an idea of how much fabric you want to donate. This doesn't have to be down to exact weights. Most organisations will want an idea of how much you are planning on dropping off. Usually you need to let them know you have ‘a few bags full’ or ‘a whole trailer full’. In most cases that would be enough for them to let you know if they can accept it or not. This is when you can break down how much of what style of fabric you have and what colours you have. Do be aware most organisations do like to know in advance if you are going to be dropping donations off. In general your fabric shouldn't be too dirty, but, always give it a once over before donating. The last thing anyone wants is to open up a bag of old musty, stained dirty fabric. More often than not this will annoy the organisation. In the past this has lead to organisations no longer accepting donations. Let the organisation know what size fabric you have. Again this doesn’t have to be exact, but, try and let them know in general what you are offering. Try to group your fabric is like sizes if possible. Again this might save a little bit of digging around when it comes to donation time. A lot of organisations out there don’t have dedicated pick up or drop off services. If you are donating fabric (or anything in general) you will need to get the items to the organisation. With something like fabric, particularly if you have a lot of it, the best way is to drop it off in person. If you don’t have your own car make sure you get in touch with the organisation. Make sure they can collect what you have on offer. What else do you have that might benefit the organisation? This s a good excuse for a spring clean. When calling the organisation ask if they need anything else. You might be surprised how much you can help out a non profit organisation with items that you no longer need or use. Collages: If you are looking to help the younger generation your local collage is a great starting point. Collages have art, design, fashion and performing arts departments that are always looking for fabric donations for the students to use. Children's museums: Usually over (or before) the school holiday period children's museums and just museums in general sometimes look for fabrics for children's holiday programs. Churches and church groups: Most churches have a church group that gets together for weekly meets, organises fundraisers and gets together to help out the community. There are many churches around and you can always find one who has a project on that need fabric donations! Prisons: Some prisons have programs to teach inmates real life skills. This is another great place to donate your unwanted gear too. It helps get people back on track and help teach life skills to those who may not have any. Sewing Guilds: ​Sewing guilds are a great place to donate your fabric to. Different local chapters are always looking for donations. Its also really good to know that your donations are going back to your community. And you might even meet a new friend or two! Senior centres: Senior centres are a fantastic place to donate to. There is nothing more satisfying than knowing that your unwanted stuff is going towards helping the older generation keep their minds busy. Senior centres are usually underfunded and are always accepting gifts, donations and volunteers. Rehab Facilities: Rehab is not easy and one of the most important parts of rehab is finding something constructive to do. Its a good feeling to donate and know that your gear is going towards someone helping themselves have a better life. Do you have somewhere you take your fabric donations to? Let me know so I can add that onto this list! I would love to create a big resource where people can come and find their nearest fabric donations point.